The process of saving your updates in the CMS includes the option to preview a draft or bypass it for quick edits. Note: Submitting/saving a page in the CMS does not update the live version of the page on your website; a separate step called publishing is required to push your updates live. More on publishing. There are a couple of methods to submit/save a page. Drafts are pages that are works in progress and can be stored in the CMS for an indefinite period of time. A draft will not interfere with the current version of a page until a final submit is committed, at which point the draft becomes the current version. The CMS automatically saves a draft of your page as you make edits, and will store the draft until actions are taken to either submit or discard it. As you edit your page, look for the Draft saved message at the upper right to confirm your last edit has been saved in the draft. If a page contains a draft version, a dropdown will appear at the upper left of the preview and contain options to select the current (submitted) version, or the draft. Select the draft and then click Edit in the Action Toolbar to proceed with edits. A draft of this page was saved Today 9:59 AM. Do you want to preview the changes, resume editing or discard it? 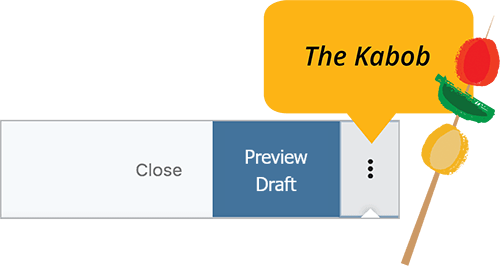 All of your page drafts can be accessed by clicking My Content > Drafts in the Main Toolbar, or on the Dashboard in the My Content widget under Drafts. Click on a draft and proceed with edits. For sites which are maintained by multiple website managers, coordinating updates is key to preventing accidental overrides. 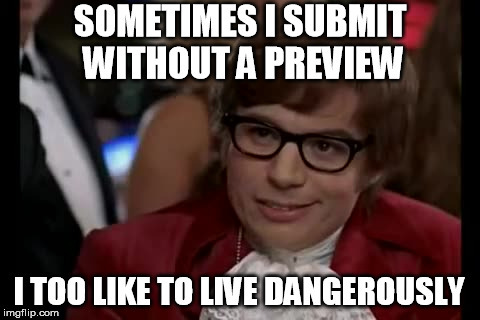 Can I review another person&apos;s draft before they submit it? Unfortunately no, you can only view your own drafts. However, with proper coodination they may submit the page and you may review the updated version in the CMS before it is published. You may also use the versions feature to compare the current version with the previous version. How will I know if another person has a page draft saved? I don&apos;t want to override their changes. Communicate with the person to coordinate the edits; you may use the @username mention feature to comment on the page directly within the CMS.